Saurav Ganguly remained an the integral part of KKR squad from 2008-2010. Indian Premier League became a huge hit because of its carnival style T20 matches. The league developed a huge fan following in the first season itself. Statistically referring, the IPL received a total attendance of 34,22,500 in the first 59 matches which shows how grand the event was. One of the main reasons behind it was the participation of the grand players like MS Dhoni, Sachin Tendulkar, Rahul Dravid, Sourav Ganguly. Each player was signed by a franchise for a 3 year’s contract starting from 2008 to 2010. 8 teams battled among each other for bidding on their home players out of which only some got successful. After 3 years, the choice was left to the franchise to retain their old players or to release them ahead of the next season. The legendary player Sachin Tendulkar was retained by his home franchise Mumbai Indians. And on the other hand, some franchises chose to release their home players for the next season of the IPL. This list contains the name of those players who were released by their home franchise after IPL 2010. 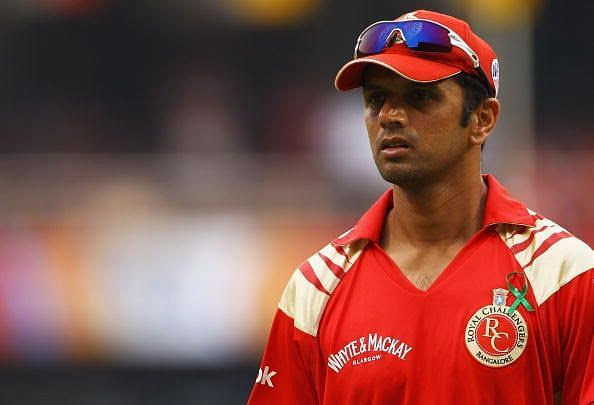 Rahul Dravid played the first 3 editions of IPL for his home side, RCB. Royal Challengers Bangalore has remained as the unluckiest side in the history of Indian Premier League. Despite reaching the finals thrice, they have not been successful in lifting even a single title in the last 11 years. However, they have always had the upper hand in terms of having high-quality players in their side. Karnataka-born Rahul Dravid played the first 3 editions of IPL for this side. He even got the chance to captain his side during these years but somehow the team could not win the trophy. Nicknamed as the Wall, Dravid scored 898 runs in these 3 editions which included his personal best score of 75 runs. However, it seemed like this performance from their homeboy was not up to the mark as expected by the RCB’s management, which led to Dravid’s release from the side. He was later on bought by the Rajasthan Royals for the next editions of IPL.